I was a reluctant shooter...having shot my first gun as a part of a wedding gift from a friend of my husband's. Obviously, it was an gift for my sporting-clays-anything-that-flies-dies-there's-never-enough-shooting-in-life kind of husband. 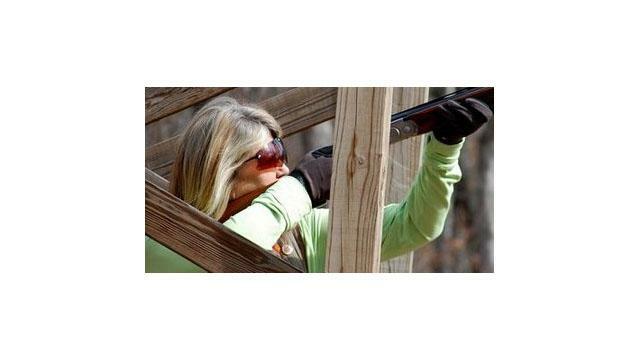 But twelve years later, today, March 5, 2015 was the first day of my very first registered Sporting Clays shoot...at the Seminole Cup at Broadfield Hunting Club and as my GRITS (Girls Really InTo Shooting) group would say, WOOHOO! So to any ladies who may want to try it and are a little intimidated...Take it from me...Just Do It!!! Shooting and Hooting!!! It's just plain fun! gblade_4612 is a riddle, wrapped in a mystery, inside an enigma. 0 comments	- Be the first! Oh S- -T! ... A Tick -ick!!!!!!! Be out-STAND-ing this Hunting Season! Feeling sore after a day at the range? Try these stretch-and-release exercises! Get your "Women's Outdoor News" here! Do I need my rain gear on this trip? Does a left handed shotgun stock really matter? Am I wearing the right shoes for this? What's your skinny on this?